Is Virtual Reality the wave of the future? The guys over at Oculus VR would have you think so, and for a while they were the only people in the VR game. But now Sony has pushed in their chips with the brand new Project Morpheus, which was on display at E3 2014. Is VR honestly the next big thing, or is it just another gimmick that we will soon forget like 3D TVs? We tried out Project Morpheus to find out. First of all, the headset is a lot more comfortable than you would imagine. It’s relatively light, easily fits over your head, and is adjustable for comfort. There is a lot of stretchable padding at all points where the headset contacts your head, and yet it doesn’t feel like it would fall off. The headset is incredibly light and I could easily see marathoning games for a couple hours at a time without causing any neck strain. As for eye strain though, that’s a different story. 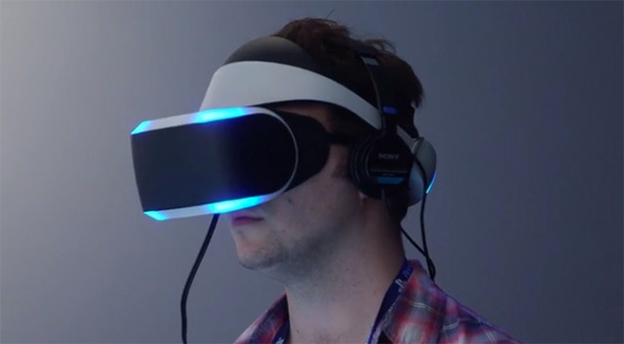 While Project Morpheus did strike me as more HD than the Oculus Rift, I still had a problem where my eyes were trying to focus on something that was much further away than the image that was being shown to me. The Oculus has this problem where it kind of looks like a grainy screen door is put over your field of vision, and Project Morpheus had that too but a little less so, so that’s a plus. You could also use an adjustment dial to bring the image closer or further away from your eyes, and that helped. However, after a few minutes of usage I was finding that I had to take the headset off every so often just to rub my eyes. That didn’t prevent me from hopping right back in though. There were three different demos to choose from on the show floor. 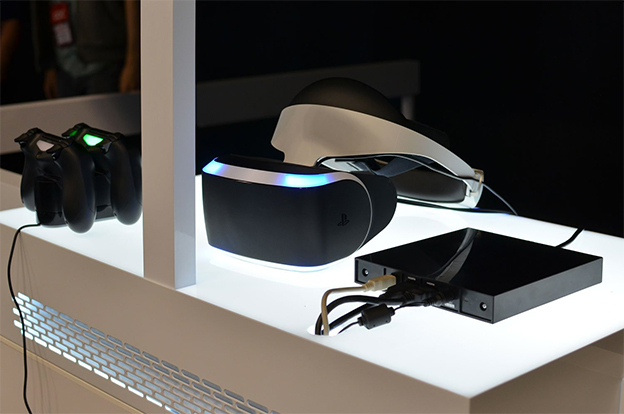 The first was a basic demo that showed how the rest of the PS4’s accessories can interact with the Morpheus. You can move your body around to punch, stab, and dance with a mannequin in front of you if you so desire. Everything felt very responsive and there was very little lag at all, which made me feel like I was in the game world. The only problem is that it’s very easy to exaggerate your movements in this space, and you can’t see the outside world. In the booth we had people walking us through the demo, but at home I could see you knocking down vases and portraits on the wall. There was also a space fighter game, which utilized the headset and a controller to fly your ship. This was a lot less wild, and all it really did was let you gauge your surroundings by turning your head. It felt good, though utilizing your head movement to get a missile lock on enemies was a bit awkward. Overall, though, I would be a lot more comfortable playing a game like this, sitting on a couch with a controller in my hand, rather than stomping around my house, essentially in the dark, with a motion controlled game. Finally, the coolest demo was the “street luge” demo, in which Sony had you lay down on a beanbag chair to experience the sensation of… well… street luging. The controls were simple. It used the tilt of your head in order to determine whether you were leaning left or right and this steered the luge. Other than that, you just wanted to avoid getting hit by cars. Let me tell you something, this demo was awesome… and sickening. I experience real vertigo, or something like it, while luging in a virtual world. I felt like I was going way too fast and I had that pit in my gut that you get when you are falling down a hill on a rollercoaster. I was very impressed with how immersive the experience was, but I can’t honestly say I would want to do it again… though that’s more of a personal taste issue than anything else. I also don’t see how this sort of game can be marketed to the mass audience unless it also comes with its own beanbag chair. 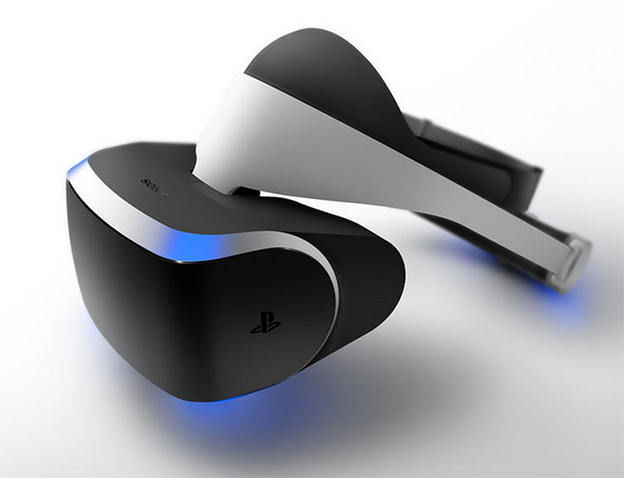 The thing that struck me the most about Project Morpheus, is that I could honestly see myself using it in the future. Like, it didn’t feel cumbersome or gimmicky. Heck, it made a better impression on me than the PS Move did originally. In the end, it’s all going to come down to price point, though. If Sony can market this device at, say, two hundred dollars or less, I can see this really catching on. Otherwise, it’s just a bit too much to pay for the experience. There probably isn’t going to be a lot of support for the device straight off, so it has to feel like you aren’t making a huge monetary commitment to it for it to take off.